It’s the end of December and we’re all reflecting on the year that’s been, perhaps we’re labelling it as a ‘good’ year or a ‘bad’ year. We are thinking of the year ahead. We are wondering how we can make it different to last year, always with the aim of moving forwards. You may be content with your 2016, and you may be feeling like you’ll go with the flow of 2017. Either way, I recommend you set some intentions to help you achieve things in life that you haven’t yet so another year doesn’t pass and you still haven’t started painting again, learning that language you’ve been meaning to learn, taken dance classes, changed the direction of your career…. I’m not talking about those couple of New Year resolutions you have each year and never achieve. I’m suggesting you think about what you REALLY want to achieve, make sure it is realistic and plan the steps you need to take to achieve your goals or intentions. Think about what makes you happy. Is there something you want to accomplish? Are there small changes you want to make on a daily basis? Develop a positive and HEALTHY mindset in relation to nutrition, exercise, my body and mind. I’m going to judge my health by how I feel, not so much how I look in the mirror and I don’t want to allow a number on a scale to determine my day or my mood. I’m not going to label my days (nutrition wise) as ‘good’ or ‘bad’ but accept that all food is abundant and accept the choices I make. Be completely present in the amazing adventures and experiences we are having overseas. I feel I mostly do this and am ever so grateful however I know, again, sometimes if I’m not feeling confident with how I look then I’m silently criticising and judging myself! Hmm… There seems to be a pattern here and it’s not a healthy one! Nourish and move my body in the way that SHE deserves and needs. Simple. Learn more about nutrition because it is something I always love to learn about and at some point, I would like to further study and help others in relation to nutrition. To do this, I know I need to be ‘there’ myself; implementing the practices I believe are beneficial to us all. Remember that we are overseas to have amazing experiences and not let my job determine my activities outside of work hours or prevent any travel. Selfish? Perhaps… but it is why we are here. Continue to work on my marriage and show appreciation to my husband. He makes this easy… I count my lucky stars every day! Discipline. It is my new favourite word. To heck with motivation. What is that anyway? If you’re like me you will feel like you are constantly on this mouse wheel going round and round waiting for this motivation. Motivation to go to the gym. Motivation to go for a walk. Motivation to do our meal prep. Motivation to work. We set these goals for ourselves like, “I want to lose x kilos.” “I want to tone up my arms/legs/back/whatever.” But to get to those goals, some of us, not all, are constantly in this cycle of waiting for motivation. We catch ourselves saying things such as, “I’m not motivated at the moment. I’ll do it later.” Or, ” I’ll work up the motivation to do it tomorrow.” Sound familiar?!? I call bulls*#t on motivation; waiting for motivation! If you want to achieve something. It requires discipline. Make yourself do it! Make the time. Make yourself get going. Make the most of TODAY. Please, don’t get me wrong. I am no pro and it is something I’ve just started to figure out myself and I am in the process of learning and more importantly, DOING. I feel like I’ve suddenly had something switch on in my brain. An ‘aha’ moment. Each morning and evening, I am sure you are disciplined to brush your teeth, shower and get to work. We are not necesarily motivated to do these things but we know they just need to be done. If you have a health or fitness related goal to achieve, just do it. Do what is required to get you there. Don’t think about it. Don’t let thoughts of motivation creep in… I actually feel like I have been tricked by this word, ‘motivation‘ for a long time. Discipline is my new motivation. It is going to get me closer to my goals. It will get you closer to yours too. Only you are responsible for your own choices, no-one else. Eat out often? Make healthy choices – salads, wraps, fish and veggies. Busy? Workout at home. Kayla’s workouts are 28 minutes plus there are so many workouts these days on Youtube. Another biggie – LIMIT ALCOHOL.. Empty calories. We hardly drink these days and when we do, I usually drink Gin and tonic… I’m still getting used to the taste. Set some rules and be disciplined to stick to them. E..g., I will workout 4 times this week, I will track what I eat and eat 80% healthy nutritious meals. I have started following Kayla Itsines BBG program (again). I am someone who gets caught up and feels ‘lost’ if I miss a workout on the ‘right’ day or if I go on holidays for a week, I NEED to start again and then because these things constantly come up (holidays, sick…), I feel disheartened, quit, move on to something else and it is a never ending cycle. This time, my goal is to just complete the 12 weeks, when I can. I am not getting hung on on days. I have a monthly calendar printed out with my BBG workouts on it and I tick each workout once it is done, no matter what day I actually do it! It requires discipline. So far, so good. I’ve also started tracking my nutrition on paper. At the end of every day, I write down ALL meals and snacks. At the end of the week, I am counting up how many meals altogether and how many of those were poor choices. In the first week, there were A LOT of poor choices. I know this may seem obsessive and extreme… I don’t want to label food as ‘good/bad’ but I do feel for me, at this stage, it is what I need to do to really see what I’m eating. My goal is certainly not to eat less overall or cut ‘bad’ foods out but I definitely am working on decreasing the number of ‘poor choices’. Trust me, the number was HIGH!! TOO HIGH! Before doing this though, my mind would constantly justify things by thinking, “it’s only 1-2 chocolates and every other meal today has been clean/healthy. You would be 80% clean overall”. WRONG! I was definitely not eating 80% nutritious food. Eating healthy requires discipline too. I have a major sweet tooth. I L O V E ice-cream and chocolate but I’m learning to say no. I am starting to be disciplined. I am reaching for healthier options more often because I need to stay disciplined to reach my goals. I am ensuring some meal prep is done each weekend ready for the week ahead. I am making myself go to the gym or workout at home, even when I don’t feel motivated because it is what I need to do to achieve my goals. There is a dark side to social media. As much as I love it, this is the reality. FEMPOWER however, challenge this and are the ultimate #girlsquad. It is so important to remember that most of the time, people like to portray the best parts of their lives on social media… The best images (#guilty), the best angles (you know, take 50 selfies, keep and post the ‘best’ one) and the best experiences. You scroll through Instagram and see picture after picture of model-type women (and men) with ‘perfect’ physiques. This is something I can appreciate because I like to follow a number of #strong and ‘fitspo’ women who work hard for their physiques but it is also concerning for myself and other women, teenagers and girls because I know there are times when I compare myself to them. I feel concerned for my younger, impressionable sisters and nieces that they too will face it and believe they must look a certain way instead of loving themselves for who they are, what they look like and importantly, what they can achieve. 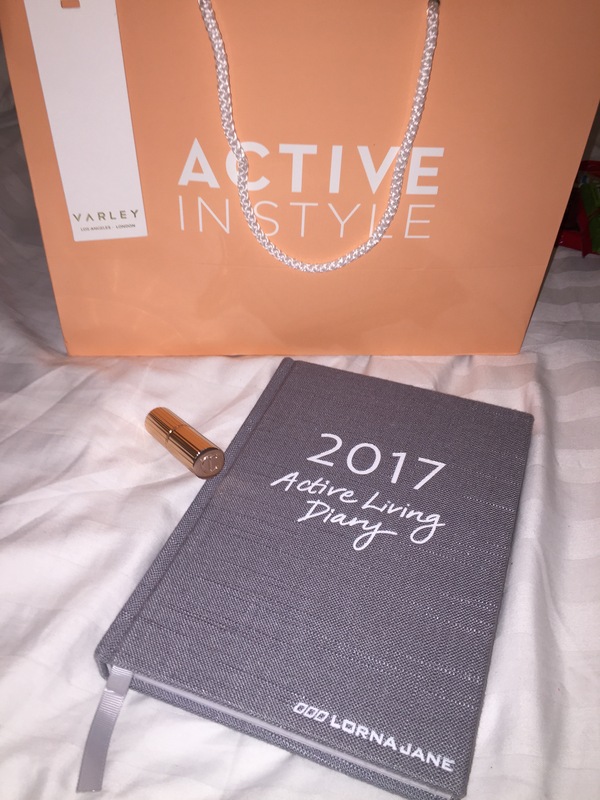 Yesterday I attended an Empowering Women’s event at the beautiful Lorna Jane Active Living Room in Covent Garden, London. Melissa Weldon, founder of FEMPOWER, led the panel which included Philippa Lewis from the Be Real Campaign. Five courageous women shared their personal experiences and growth stories, all in relation to abolishing negative body image beliefs and empowering women to believe that they are in fact, ‘enough’. These ladies had unique stories and looking around the room (and reading Instagram posts), you could see that the remaining 4o women in the audience were touched and inspired in some way by the panelists. Everyone left with goodie bags, FITTY boxes, a Protein Haus smoothie and some with a Bol salad. Ahhhmaaazing! The goodie bags were incredible! Take a look… I am set for a while! The best thing was that all proceeds went to the Be Real Campaign charity. One of the areas Be Real focuses on is educating people from a young age; their aim is for children to have a “body confident start to life”. As a teacher, a big sister, an aunty and hopefully a future mum, this made my heart sing. Job well done to Lorna Jane UK for walking the talk with your move, nourish, believe philosophy, to FEMPOWER & Be Real for inspiring women like myself to accept that we are enough. You are allowed and deserve to be completely happy. Everything is going well for you except the fact that you are really are self-sabotaging your happiness. You put a lot of pressure on yourself based on how you look. You want to look slimmer, toned, tanned, sexier. This is OK. You want to FEEL healthier, slimmer and more beautiful… You want to wear outfits – pretty dresses and shorts. This is OK too. You want to feel at peace with yourself and not constantly like you’re on a roller-coaster with your emotions due to hormones, too much sugar and lack of sleep. You can do this! You KNOW what to do. It can be easy. Healthy eating and exercising. Start saying no to foods that make you FEEL like crap. You don’t need the ice-cream or the chocolate. They make you feel bloated, tired, miserable, fat, they inflame your IBS, IBD & psoriasis. Just don’t! You’ve got this. You have amazing support from Kurt and you’re in the perfect industry to do this NOW! It’s up to you though… Dot it for the gut health, stable moods, glowing, healthy skin, your emotions, your loved ones. Sophie Guideline is an amazing woman,wife and mum, You respect that, She respects herself. Respect yourself. You want to be a happy, healthy woman, wife, (future) mum…. You will be IF you act now, Change habits. Create your way of life. Create your own rules. Food is fuel. Eat to move. Don’t move to eat. Move because you enjoy it. Have fun. Never give up. Be consistent. Be determined. Be grateful. Be happy. Be healthy. Love healthy. Love healthy food. Be the person you want to be. Be the woman you want to see. Be the better you. Don’t let the unhealthy, self-sabbotaging girl who is dealing with her own issues stop you from achieving your goals and dreams. Own your goals and dreams. Own this. Own her. Own yourself. Own your choices. Own your actions. Believe in yourself. Believe in your vision. Believe in the life you’re creating. This is a letter I wrote to myself in June 2016. This is a stream of MY thoughts in a vulnerable moment. They are no-one else’s and therefore naturally, yours would be different to mine and please, remember, everybody’s ‘body’ is different. I am not saying that everyone or people of a certain shape or size should want to be slimmer etc. That is far from my intention! It is about FEELING healthier from the inside-out. Of course there are things on the outside I’d like to change for myself but that’s based on what I know I can look like when I FEEL I am in my healthiest state, not suffering from IBS and IBD symptoms. I mention Sophie Guidolin because obviously, I respect her. I follow her on social media and she promotes feeling healthy and living a healthy lifestyle. She is such an inspirational woman, to me. I love reading and researching all things health and wellness but I have struggled with my own journey of yo-yo dieting. I believe in living a healthy, balanced lifestyle and I feel I am now starting this life-long journey. I want to create a healthy lifestyle for myself and family before we have children so healthy habits are created. By all means, this does not mean I will be cutting out chocolate (haha- this would never happen) but I want more of a healthier balance; to create my own treats, and limit my treats because previously, they have outweighed the nutritious, clean energy fuelling foods. It really is a decision. To help my process, I wrote this letter for me to refer to every day as a reminder. If you feel you’re in a similar situation, write a letter to yourself. Don’t analyse what you are saying while writing, just say it and then look deep and take action. There are so many amazing recipe books and guides to follow when trying to get on track with living your best healthy life. Your goal may be to lose a few kilos, clear your skin, decrease symptoms of IBS and so on. Whatever it is, I feel it is essential to come up with our own goals and rules instead of just following someone else’s. Read them, read many but create your own rules and a small number so that you can stick to them. 3). Include protein, especially breakfast, lunch, afternoon tea and dinner. Welcome to Tigerlily’s Tales! Tigerlily’s Tales takes you on a journey through my experiences in relation to travel, health, beauty and fashion… Day to day life which may be interesting and perhaps even beneficial in some way.